My heartfelt thanks to all who sent ideas for my extra fabric in the last post. I've shipped 4 boxes out and have one more to go. It's comforting to see so many doing good things with quilting. I feel like I'm sending good wishes and love out into the world. Thank you for making it happen! I've gotten some wonderful pictures lately! These two are from Eddie Landreth. Love the addition of the bird and vine border Eddie! Actually this was one of my favorite quilts to make. 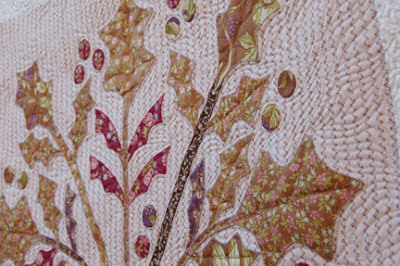 The shapes were large and easy to applique. Barb designed this one and I would call her after finishing each block and let her know how much fun I was having. Lida Kunkeler from the Netherlands sent the picture shown above. She writes, "Just want to show you my latest finished embroidery, one of yours again! The frame I found in a second hand store and it fits fantastic. Hope you like it! Thanks for all the inspiration you gave me." 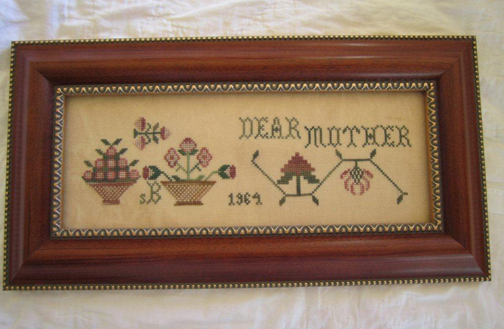 Katrina Devine sent the picture of her sampler shown above. She writes, "I wanted to share with you and Barb my Dear Friend finish!!!!! I wanted to give it to my mom for Christmas so I changed "Dear Friend" to "Dear Mother", added her initials and since I am the oldest child, the year I was born. I had to play a bit and move a motif around but I am so happy with how it came out. little pink house and grew violets. They were all over her home. Can't wait to stitch it :-)!!!!!!" Lastly....I'm leaving you with an image of my latest project with Edie McGinnis. We are taking beginning tap classes. Barb told me she can hardly wait to come to our recital and I replied, "I can hardly wait to be good enough to be in a recital!" 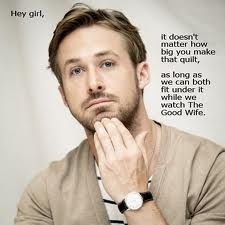 Wow the quilt is wonderful and too much Ryan Gosling fun and tap shoes?????? I love that you are trying so many new things, baking, bee keeping and now dance classes :-)?????? What a gorgeous quilt that is! All the loving work put into it. It's a real treasure. It is so sweet and a real treasure. Thanks for posting my quilt, Alma, I really enjoyed working on it. I'm not normally a "hand" person, so sewing all those berries on by hand was actually kind of fun. And I smiled when I read your post above, "she" (me) is actually a "he". You have a lot of man fans out here in the quilting world! :) Thanks again for creating such beautiful designs for us! Oh what a beautiful quilt. Your books and fabric lines are so inspiring!! I love your latest violet design as well. It so reminds me of my maternal Grandmother. And tap dancing lessons...I AM IMPRESSED. Dance like no one is watching !!! What Fun !!! Just wanted to let you know I started tap at age 60 and loved it. The average age was 57 and we had fabulous dance recitals. It's not as easy as it looks! What a stunning quilt, Eddie! Thanks Alma, for sharing your reader's work with us. Such a great quilt - thanks for sharing. And tap dancing? Wow!! I'm impressed - I think I would hurt myself if I attempted that! Have fun! I tried to find somewhere to send you and email but could not. Can you tell me what book has your pattern " Home among the vines " in it. I love that quilt and would like to make it but cannot find the pattern. Tap Dancing is addictive - and soooooooo much fun. Enjoy!! I love Linda's framed sampler above. Can anyone tell me which Blackbird Design this is? Thank you. 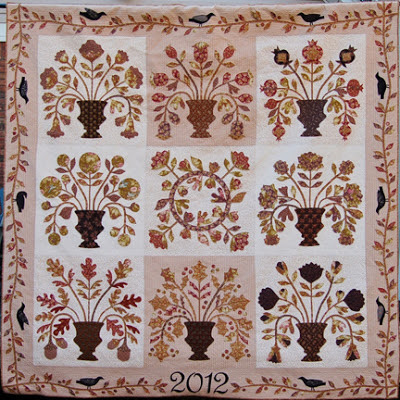 I added the information about Lida's sampler to the blog posting. I attached a link to the blog page in which the pattern was introduced. You might have to scroll down a bit, but you will see the cover and some information about the pattern. Thank you again for the fabric Alma -- my guild is just thrilled! I read in Edie's blog that she was taking tap and am happy that you are too. I can shuffle ball step, but have never had tap shoes. I really want some:) Can't wait to tell my kids. They think I am "touched" already. I love Eddie's quilt and the samplers. Firstly, I've missed you terribly. And then wow, what a great show and tell - love Eddie's quilt and have it on my "to-do" - I may have to mimmich that border, I'm in love with it! Cross stitch is also lovely and my first love. Tap Dancing - now that will whip you in shape. You never cease to amaze me! What great photos. 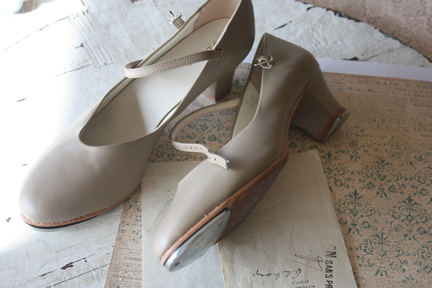 You know, we'll want to see video footage of your tap dancing adventures! Can anyone tell me which book the pattern " Home among the vines" is in? Toujours très joli, c'est un régal pour les yeux ! She worked at Little Quilts and we corresponded for a while. We both work in education so we kvetched about how we thought things should be done. Life got busy for me with our 5 kids -- a wedding, an ordination, college graduation and a high school graduation and our correspondence ceased. I just received my LQ newsletter and found out that Karen had died. I'm so sad but wanted to share the story with you. Her name was Karen Mowery and she wrote A Bountiful Life. Since you brought us together inadvertently -- I have subsequently found several white bone dishes in my antiquing forays. It's very nice to hear from you. I went to Karen's blog site and read about the fun you both had looking for bone dishes. I just purchased Karen's book at quilt market last year. I love the quilt she reproduced and am very sorry to hear she has died. I know you will remember her each time you use your bone dishes! I'm very sorry for the loss of your friend. If you have any more fabric to clear out, I'd love to receive a box. I'm about to start a beginner quilt class for 3 young girls at our church (ages 11, 13 and 13) in March. I've already had a basic sewing class with them--how to use their machines, make a straight skirt, apron, etc., so I think they are ready for an easy quilt. I'd love to give them each a small stash of their own to pick from so they don't have to go out and buy fabric as well as cutting tools. Absolutely love the quilt. What a treasure. Enjoy the tap dancing, sounds like such fun. That is a lovely quilt. What talent. I love the soft colors. I used to tap dance so the tap shoes hit a soft spot in my heart. What a lovely quilt ! Your designs are always greatly celebrated in France, maybe you catch a kind of French flair... So thank you for the endless inspiration. Being a student you should always remember to collect diverse sources for setting forth relevant data as http://papersmart.net/essays-for-sale.html and cheap essays for sale are believed to do by all greatest mind of past centuries. Learn and teach at the same time while discussing any-what problem or making case study. Point our all key features and strengthen insufficiency or lack of exactitude when preparing a custom research. Thank you for this article very full again.